Proudly Sport America's Favorite Performance Technology Company with our newly designed and high quality T-Shirt. Long standing in the automotive community for mufflers, exhaust systems, Catalytic coverters, and now Performance Air intakes and tuners you can support an all American made company with this tee. 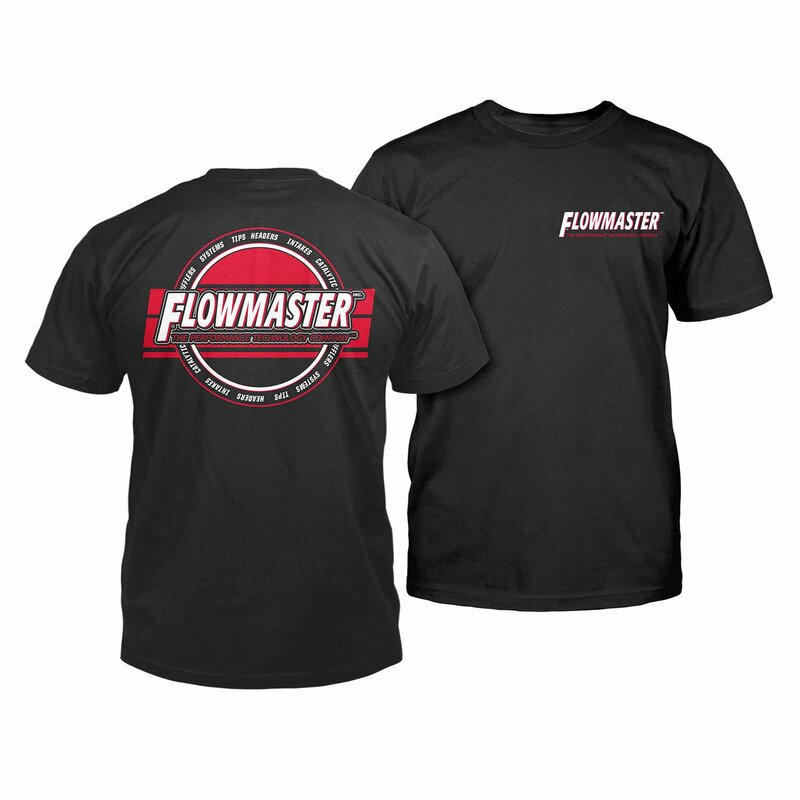 This Tee is 50/50 Polyester and Cotton material and has our iconic Flowmaster logo on the front and the back. Shirts range from Small to XXXL.